Earlier today, Dell rolled out three new Alienware laptops. The M14x and M18x are entirely new product lines while the M11x is now refreshed with the latest tech. The smallest of the family, the Alienware M11x, first made a debut a little over a year ago and today’s launch is a third revision. Although high-performance 15-inch and 17-inch Alienware laptops are already available, Dell now fills the remaining gaps with the new 14-inch and 18-inch models. The latest iteration sports the Intel’s latest i7 quad-core 1.5 GHz Sandy Bridge processors, originally announced at CES 2011. There is support for up to 16 GB of DDR3 1333 MHz RAM and the laptop runs on Nvidia’s GeForce GT 540M graphics card. As with the older model, the M11x sports a 11-inch WLED 1366-by-768 pixel (WXGA) display. Other new additions include HDMI 1.4 for video output, Kilpsch speakers, and optional WiMAX networking. For those interested, this laptop is now available on Dell’s website for a $999 starting price. This new addition is perfect for those who can not stand the utterly small 11-inch model, but do not want the bulk of a heavy 15-inch model. Customers can opt for a WLED HD+ 1600-by-900 resolution display for high pixel density. The 2.3 GHz quad-core Intel Core i7 2820QM offers the best performance, but more affordable alternatives are also available. The new Nvidia GeForce 555M offers up to 3 GB of VRAM and the Optimus technology scales back to extend battery runtime. 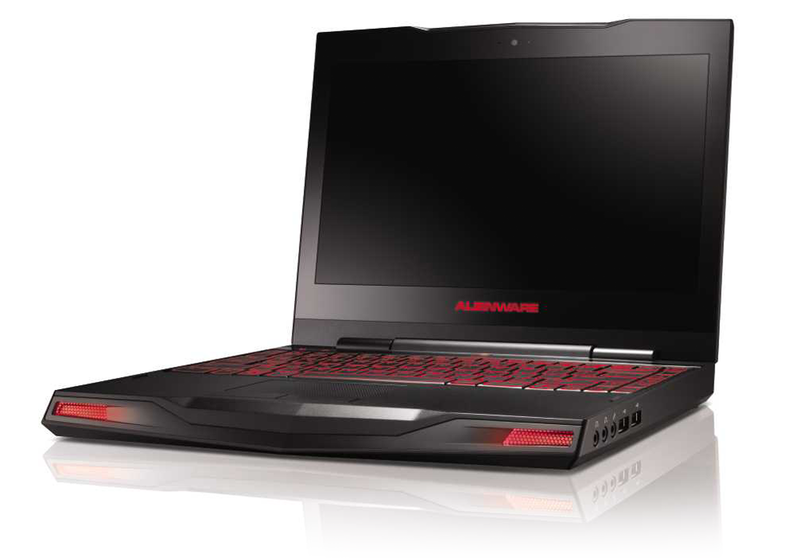 Although this model does not support up to 16 GB of RAM, it does support up to 8 GB of the faster 1600 MHz DDR3 RAM. Dell offers the Alienware M14x for a starting price of $1119 and it is available now. For those looking for a true desktop replacement, this 18-inch model is probably the best solution. The M18x probably will not fit into a bag and will likely weigh more than you can carry, but it does pack a punch. This laptop packs a WLED 1080p HD display, dual GPU with the latest graphics memory (GDDR5), the newest Intel i7 Extreme quad-core processors clocking up to 4 GHz, and room for up to 32 GB of 1333 MHz RAM. It is definitely overkill, but it is an option. The laptop is not available just yet, but Dell claims to announce a launch date soon.